If a flower can have grace like a ballerina, Ballerina Rose Guara is a prime example. The rose-pink flowers flutter in the breeze at the end of wiry stems with narrow leaves climbing to the top. They add a delicate touch to any garden from late spring to early fall. Most Gaura have long stems that rise above the clump of foliage with dainty flowers that move about in the breeze. This movement causes the blooms to look like little butterflies while attracting the real thing. Plant them in mass plantings for more impact. 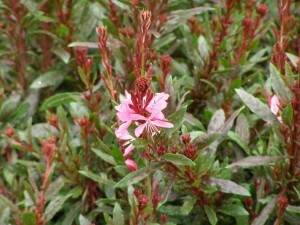 Gaura tend to develop a long taproot which can make dividing tricky. This long root helps the plant draw nutrients and moisture from deep in the ground when conditions may be drier topside. 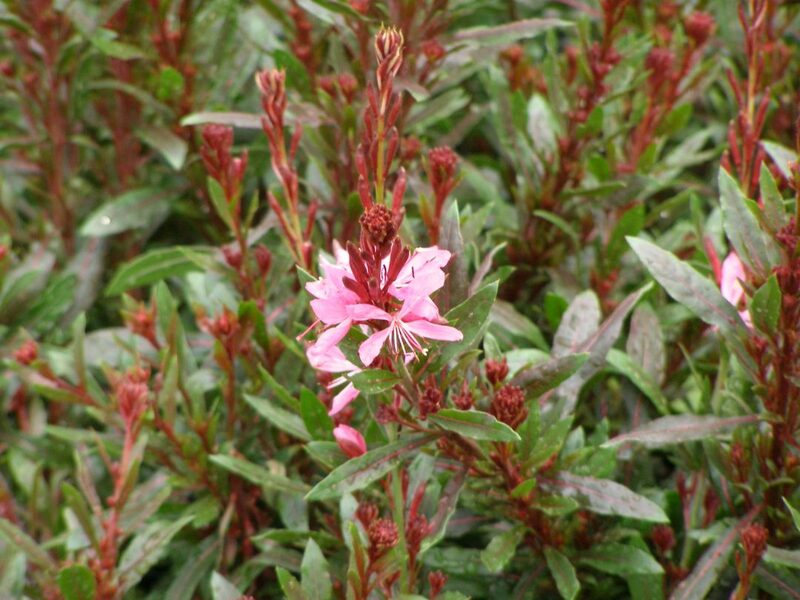 Gaura do not like wet feet. Make sure that your location drains well or that long root may rot. Spacing: Plant 12″ to 16″ apart. Outstanding Features: Attracts hummingbirds. Deer resistant. Heat tolerant. Tips: Water lightly and fertilize once a month.